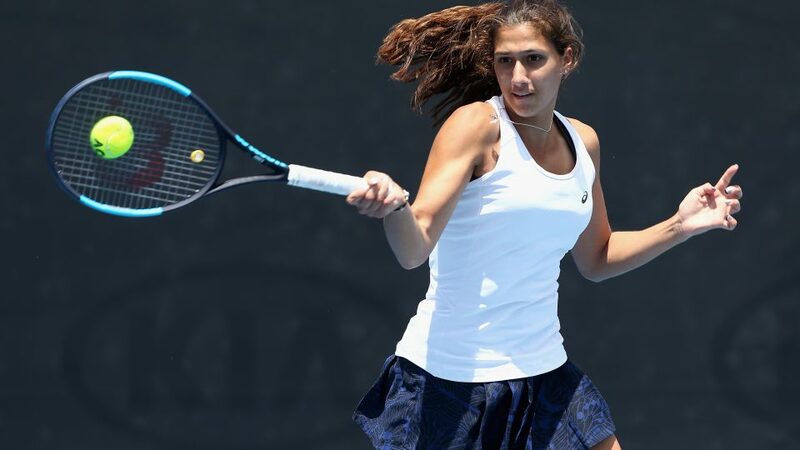 Rising Australian star Jaimee Fourlis has received a main draw wildcard into Hobart International 2018. The 18-year-old from Melbourne will make her second main draw appearance in Hobart, having made her WTA debut at the event in 2017. “It feels amazing, I’m really pumped to be going back to Hobart,” Fourlis said. “I played my first ever WTA tournament there, it was also my first time in Hobart and I loved every minute of it. Fourlis is set for a big January, having also earned an Australian Open 2018 main draw wildcard after winning the 18 and under Australian Championships earlier this month. “It’s a great way for me to prepare for the AO,” Fourlis said of competing in Hobart. “Last year I had a great match against [Kirsten] Flipkens, it was a really tough match but I had some great learnings from it. “There will be some high quality girls playing this year and I know that I will definitely have to be on-top of my game to do well. Fourlis set a career-high ranking of No.271 during 2017 and made her French Open debut, where she pushed former world No.1 Caroline Wozniacki to three sets in the first round after winning the Australian wildcard play-off. “Jaimee has had an amazing 2017 and is a very deserving wildcard recipient,” Hobart International Tournament Director Darren Sturgess said. “The tournament has a proud history of providing a launch pad for young Australian players and this is another great opportunity for Jaimee to challenge herself against some of the world’s best. Fourlis joins a strong line-up, which includes recently announced wildcard Eugenie Bouchard (CAN), defending champion Elise Mertens (BEL) alongside former title winners Alize Cornet (FRA) and Mona Barthel (GER) for the 25th edition of Hobart International in 2018. Top 40 stars Zhang Shuai (CHN) and Sorana Cirstea (ROU) will also compete. Who do you think will win the Hobart International 2018 title? Join the #HobartTennis conversation and let us know your thoughts on Facebook, Twitter and Instagram.